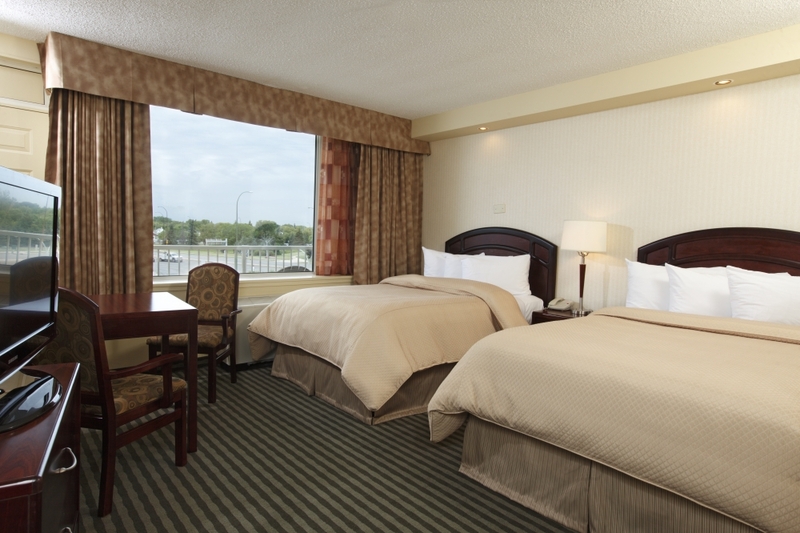 Elegant, Spacious and Comfortable Accommodations in the Heart of Winnipeg. At The Viscount Gort Hotel in Winnipeg our goal is to provide every customer with one thing - comfort throughout their entire stay. You'll find our commitment to quality reflected in each and every one of our modern and spacious rooms. Every well-appointed room features: FREE High Speed Wireless Internet, free local calling, weekday daily newspaper, complimentary coffee & tea,complimentary HBO and The Movie Network channels all in a 100% smoke free environment. Traveling with your furry friend? We also have Pet Friendly rooms available upon request for a minimal fee. These deluxe 2 double bed guest rooms are approx 230 sq. feet and include complimentary high speed wireless, mini fridges, microwaves and coffee and tea makers. 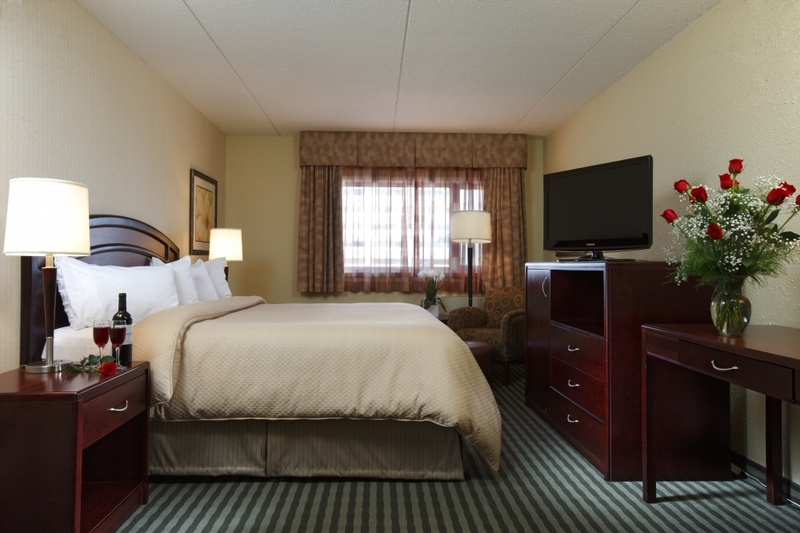 Our guest rooms include free local calling, am/fm alarm clocks, LCD HDTV's, pay per view movies, and individual air conditioning and heat controls and complimentary newspaper. 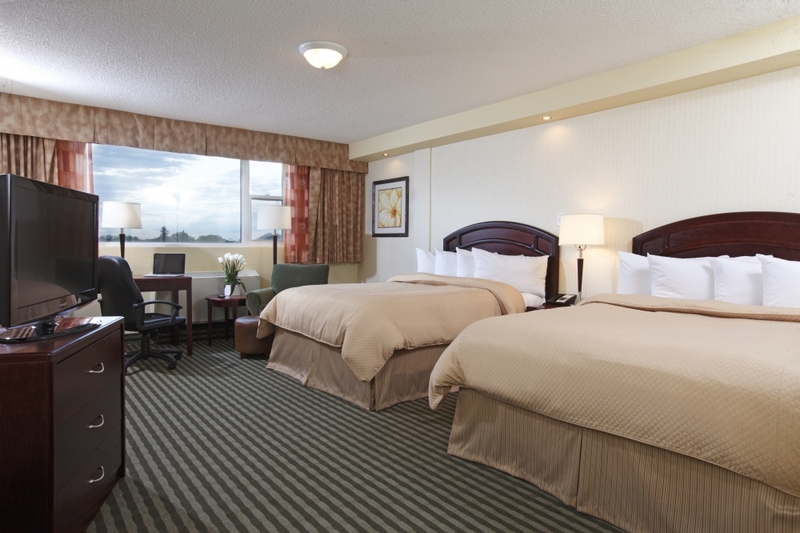 These deluxe 2 Queen bed guest rooms are approx 245 sq. feet and include complimentary high speed wireless, mini fridges, microwaves and coffee and tea makers. Our guest rooms include free local calling, am/fm alarm clocks, LCD HDTV's, pay per view movies, and individual air conditioning and heat controls and complimentary newspaper. 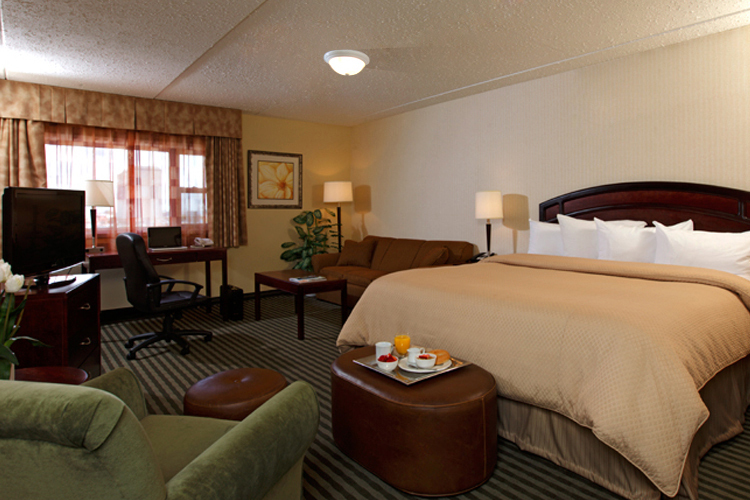 These deluxe king bed guest rooms are approx 245 sq. feet and include complimentary high speed wireless, mini fridges, microwaves and coffee and tea makers. Our guest rooms include free local calling, am/fm alarm clocks, LCD HDTV's, pay per view movies, and individual air conditioning and heat controls and complimentary newspaper. These Premium King Suites are 350 sq. feet. These rooms feature a king size bed and spacious living room space with sitting area. Also include, free wi-fi, Duvet bed coverings, fridges, microwaves and Keurig Coffee Machines. Our Suites offer free local calling, alarm clock with docking station, pay per view movies, bottled water, LCD HDTV's, individual air conditioning and heat controls and complimentary newspaper. 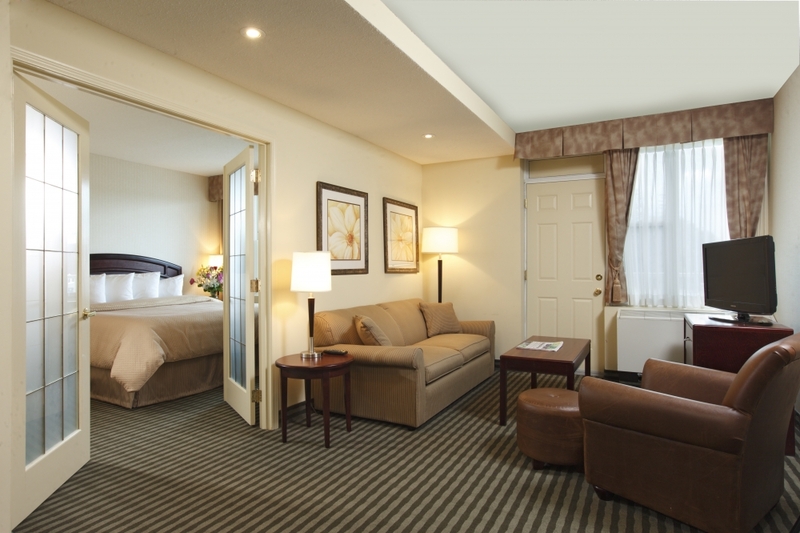 These 2 Room Executive Suites offer free wireless and are approx 430 sq. feet. This room features a king size bed in the bedroom, joined by tinted French doors to an inviting separate living room with sitting area. Also included, free wi fi, duvet bed coverings, fridges, microwaves and Keurig Coffee Machines. Our Suites offer free local calling, alarm clock with docking station, pay per view movies, bottled water, LCD HDTV's, individual air conditioning and heat controls and complimentary newspaper. These Premium Suites with 2 queen beds are approx 350 sq. feet. These rooms include a spacious sitting area for larger families. Also include, free wi-fi, Duvet bed coverings, fridge, microwaves and Keurig Coffee Machines. Our Suites offer free local calling, alarm clock with docking station, pay per view movies, bottled water, LCD HDTV's, individual air conditioning and heat controls and complimentary newspaper. We know that your pet is a member of your family. For an additional fee, we have a selection of Deluxe King Rooms and Deluxe Double Bed rooms that are pet friendly. These rooms are based on availability, so please request these rooms at the time of booking.